Over-the-counter analgesics, such as aspirin, acetaminophen, ibuprofen, ketoprofen, and naproxen, are usually safe when taken as directed. However, if taken in excess or over too long a period of time, they can harm the kidneys. 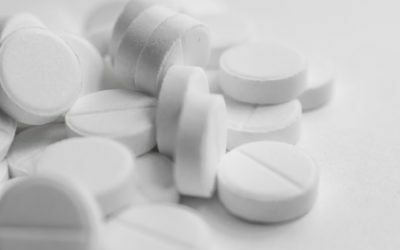 Products in which two or more painkillers are combined may be especially harmful to kidneys when used to excess. • Do not use them for more than 10 days for pain or more than 3 days for fever. If these conditions persist beyond those periods, see your doctor. • Avoid prolonged use of products that contain mixtures of painkillers. • If you are taking analgesics, be sure to drink six to eight glasses of fluid a day. • If you are taking analgesics, avoid drinking alcohol. • If you have kidney disease, consult your doctor before using an analgesic. • Make sure your doctor knows about all the drugs you are taking, including over-the-counter products and dietary supplements. • Make sure you read the warning label before using any over-the-counter analgesic.